So head out to your farmer’s market today and try out this recipe! Put ingredients into a bowl. Add the salt and lime juice and mix well. You can serve this immediately but it tastes better after it’s had a couple of hours to mingle in the refrigerator. Serve with cucumber chips, jicama chips or organic corn chips. Have a healthy and blessed day! With summer activities in full swing it’s time to whip out a recipe that is easy and versatile. Our Paleo Shrimp Salad can be made ahead, taken to a party as an appetizer, travels well and happens to be low in carbs but high in flavor! 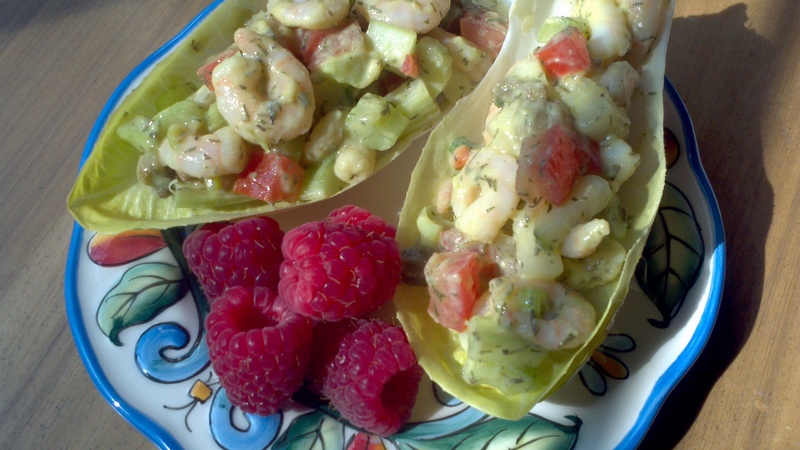 We have also accomplished making it dairy-free and naturally gluten-free by eliminating and milk product from the base and substituting bread with endive as the delivery device for the delicious shrimp salad. This recipe also works great with diced chicken or diced organic firm tofu (making it vegan) if you are so inclined. 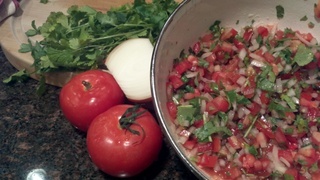 Add the first six ingredients to a large bowl and lightly toss to incorporate. 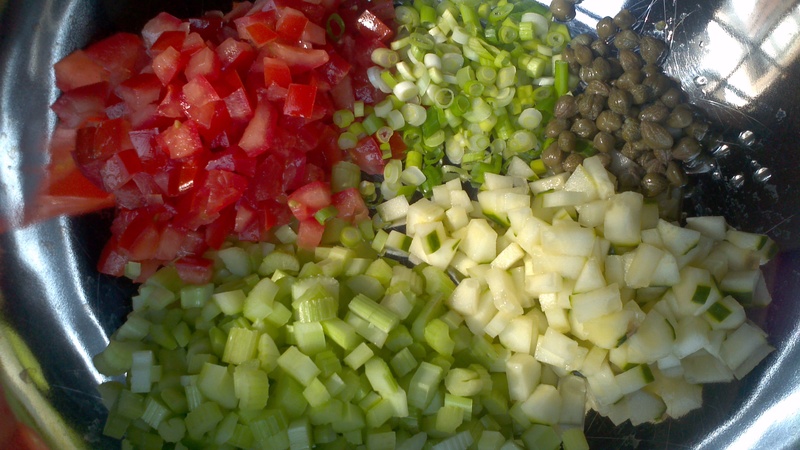 Sprinkle the dried dill and garlic over the mixture and toss again to incorporate spices and salad mixture. Add ½ cup of avocado mayonnaise and mix ingredients together to fully incorporate. Set in refrigerator for about 30 minutes before serving. Serve in endive garnished with green onion or serve over a mixed green salad. This recipe can be made ahead and will keep it’s texture for 1-2 days. It will keep for a third day a cold refrigerator but may lose some of it’s “crunch”. Wash the avocado and cut it in half. Scoop out the flesh and put it into a blender or small food processor. Add lemon juice, salt and mustard and blend together. With blender or processor running, add olive oil slowly. You many have to stop the machine a few times to make sure ingredients are incorporated. Puree to a smooth creamy texture. This can also be used as a dressing by adding 2 Tablespoons of water in the blending portion to help thin the mayonaise.